This piece started as an experiment with the soft blue wash, which I let sit around for weeks and weeks while I contemplated what to do with it. 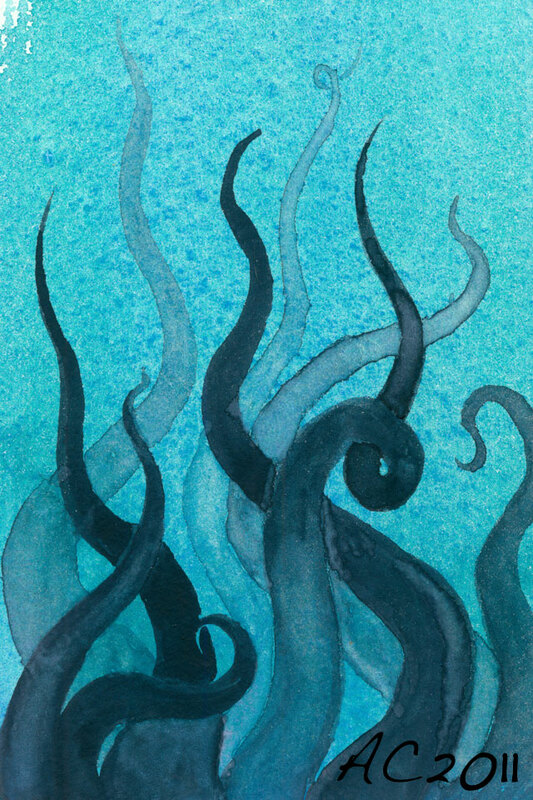 The other day I had a flash of what to do, and then it took me a few more days to take the time to sit down with my watercolors and add the sinuous tentacles rising up from the deeps. 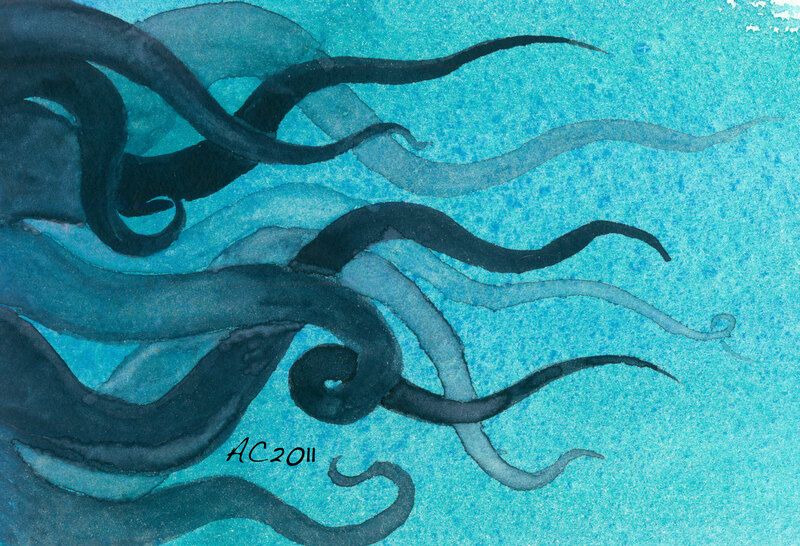 I’m quite pleased with the results, the feeling of depth and the texture of the soft paper and how it interacted with the watercolors (which are really Japanese sumi-e inks, for the most part). 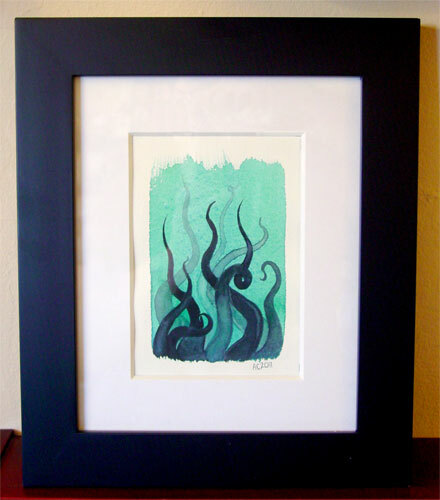 I did mix some green in with the blacks to set it off from the teal wash, but I think that in the end the wash won out and the whole thing has a lovely monochromatic feel. 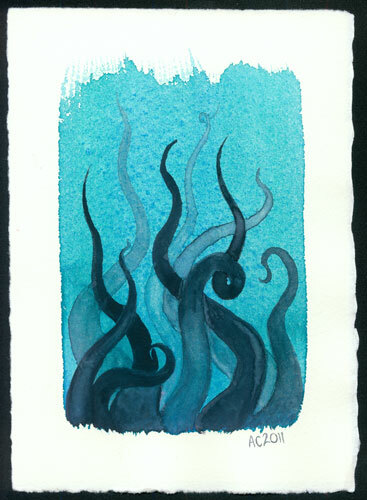 Tentacle Deeps, 5.5″x7.5″ watercolor on watercolor paper. I also made a computer wallpaper and iPhone wallpaper for your downloading pleasure (right-click or ctrl-click to save). 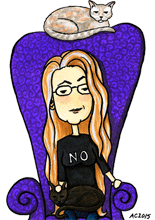 Well, okay, I made them for my own use, but I figured it’d be nice to share.